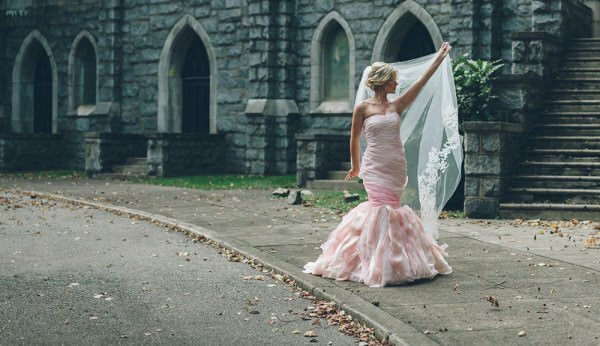 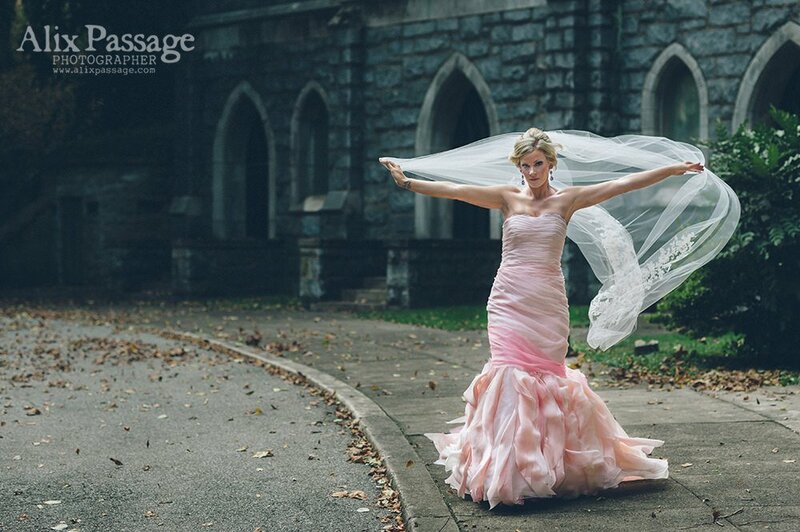 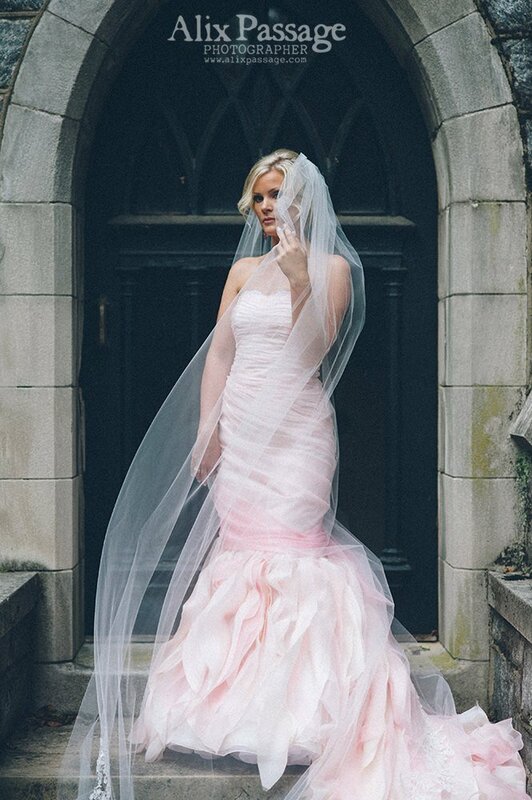 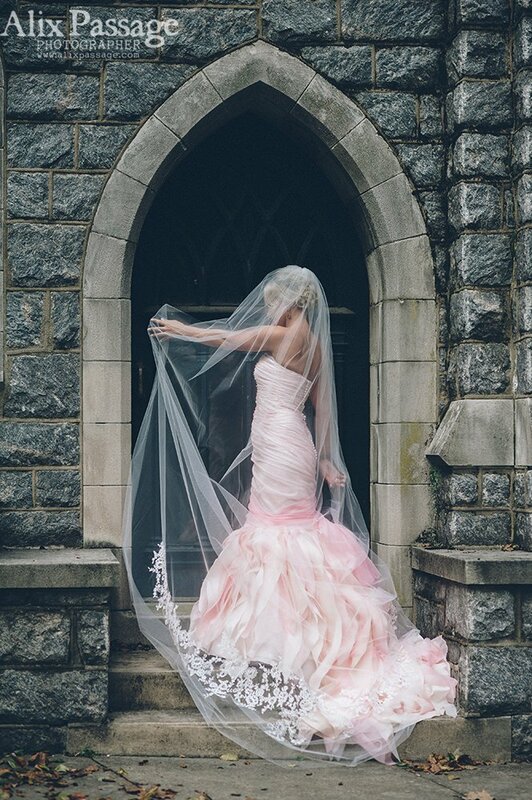 For her wedding day, bride Katelyn desired a “classic but unique” gown—something with a creative twist. 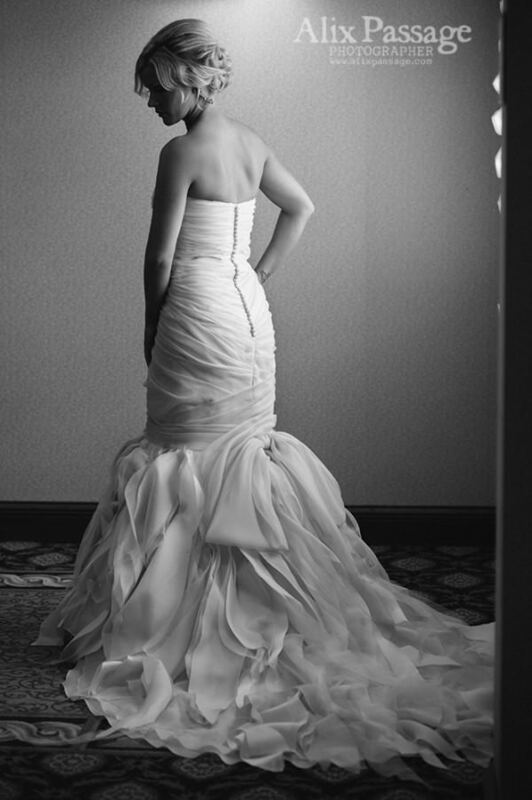 Like most brides, she wanted her wedding dress to reflect her personal style. 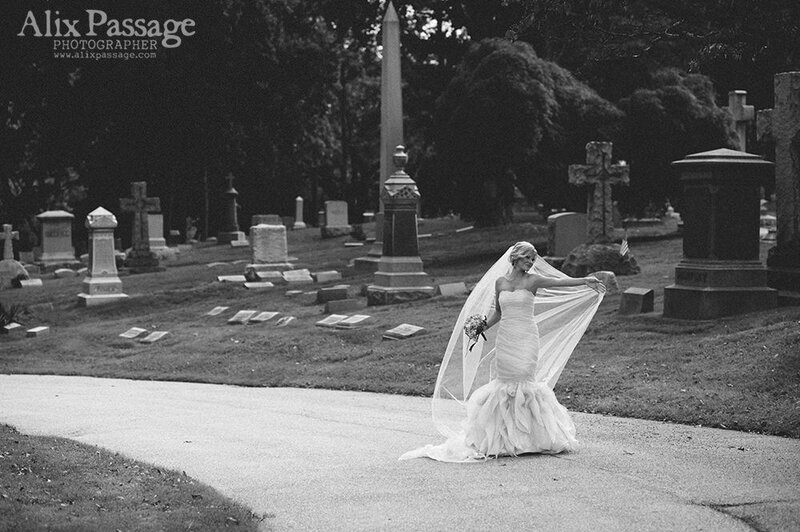 She and then future-hubby Steve were to tie the knot in a historical cemetery in Philadelphia, so the dress needed to live up to the surroundings. 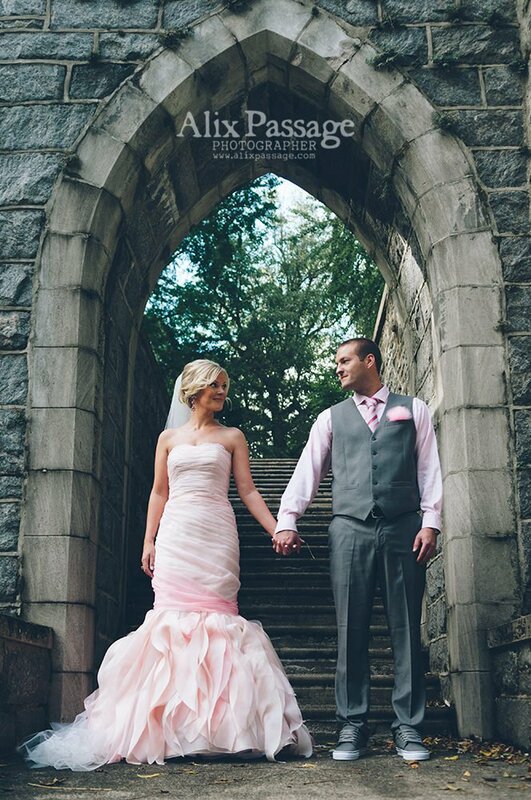 Katelyn wore a fitted gown with a full, multi-tiered skirt in hues of different pale pinks for a ombré effect. 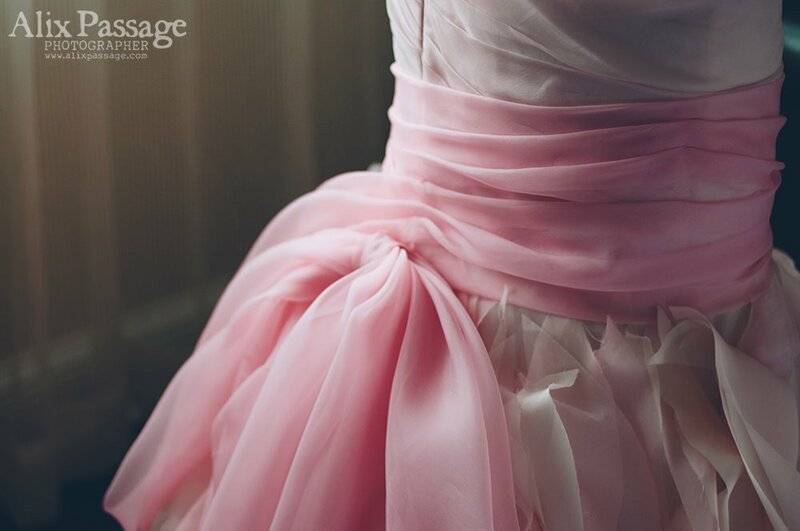 Janice loved making this dress as much as I did—you can tell that this is her passion. She loves making dresses, but she loves her clients as well. 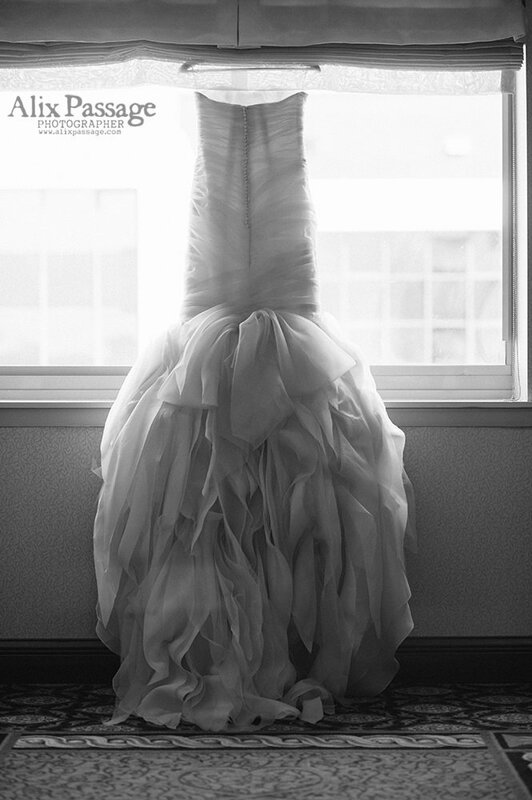 I spent a good deal of time at her studio, but it didn’t seem like it. 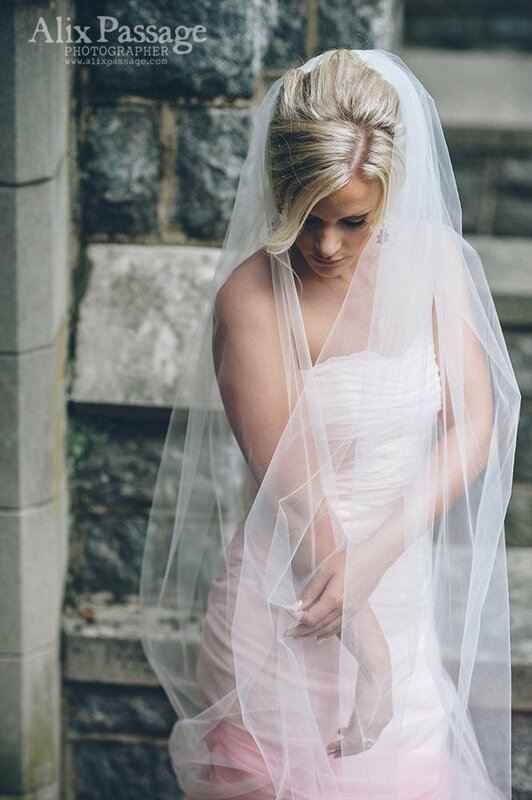 She was always genuinely interested in what was going on in my life, and she loved sharing stories with me… who else could you possibly want to make your dress?